My notes are sparse, but what I think they mean is that Sadie’s folks know she’s an Aussie on one side and a mutt on the other. I do have down that she’s 7, and I’m going to hazard a guess that there’s some dachshund in there. I’m definitely seeing dachshund in that face. Oh, and the legs. Those too. 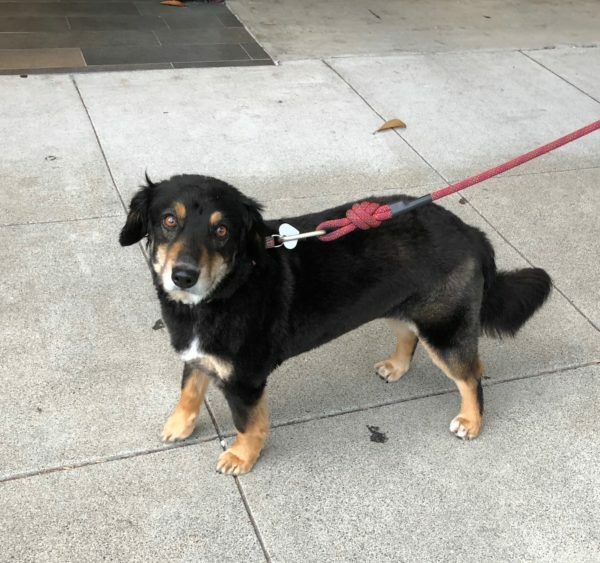 This entry was posted in Dog of the Day and tagged Australian Shepherd, Russian Hill, Unknown Mixed Breed. Bookmark the permalink. 2? That muzzle looks very grey for a two year old. Such a sweet face, though ;-}! Hah! Absolutely right. I swapped ages for her and the other dog I took photos of that day. Corrected! Hello Adam! We finally got to check your blog! Hope everything is going fine in Indiana! Greetings from the Spanish cyclists currently in Utah. What a great country you live in! Hah, nice! Utah is a very big state, but all the roads go straight for five hundred kilometers, so you are sure not to get lost. YAY we are so excited that Sadie is now famous! We are trying to downplay the fame so that she doesn’t get too much of an inflated ego, but all the paparazzi are making it difficult. 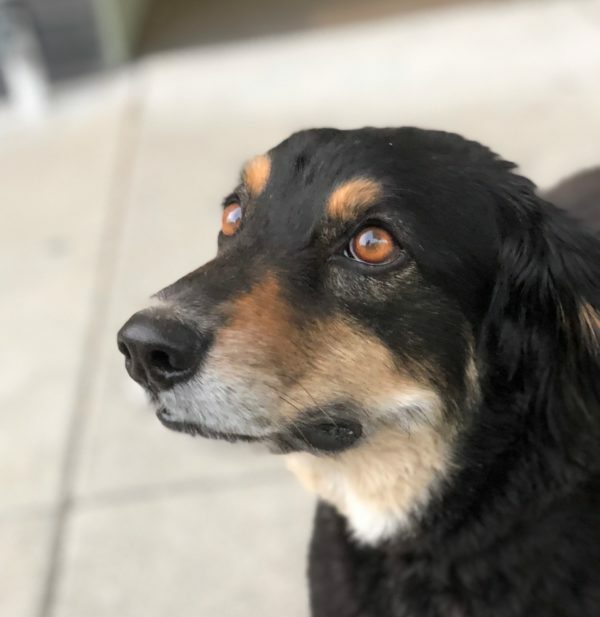 Thanks for featuring our Sadie girl! Pssh, she’s too much of a sweetheart to succumb to fame! Got any more pictures of her online that you’d like to link to here? Feel free to drop ’em in a comment!